Of course, every family and every baby is different. 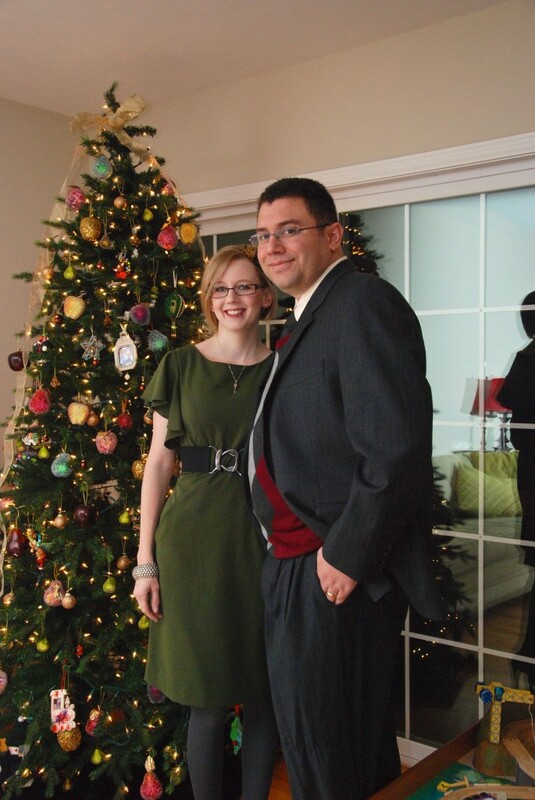 What works miracles for one household may collect dust in another. But when asked what my number one tool for keeping my baby happy was, I could answer without hesitation how much we love babywearing. I’ve tried just about everything at nearly every price point, from a cheap stretchy wrap for my newborn to a beautiful luxurious wrap conversion on loan to me from a friend. Harper adores being worn and while she was not an easy baby by any measure, I could count on her to calm down once she was worn and could feel myself or my husband right up against her. To this day my husband wears her on nightly walks to get her settled for bed and she always falls asleep happily against his chest. 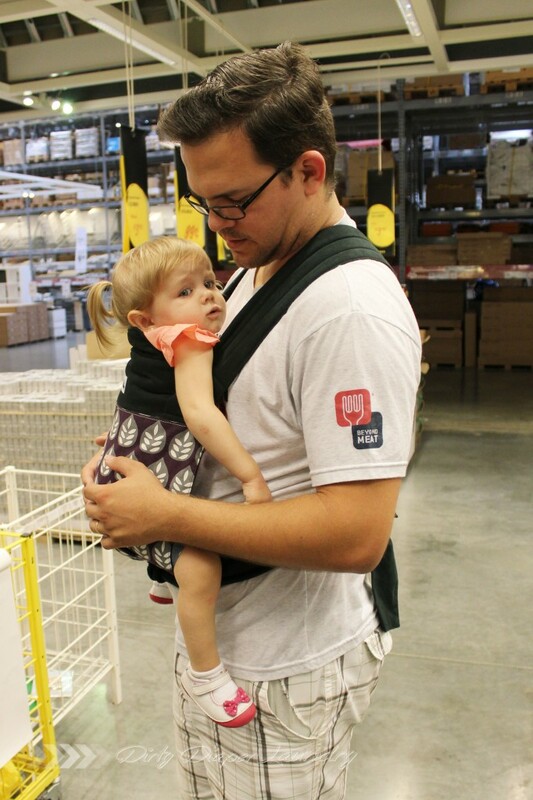 One of my favorite baby carrier companies is Catbird Baby. They offer a soft structured carrier called the pikkolo as well as a mei tai style carrier, and both are available in a variety of beautiful modern prints suitable for men and women alike. The pikkolo is a carrier which buckles closed, there is a waist belt you buckle first, then two strap buckles, as well as a slim strap that can be buckled over the chest when doing a back carry to provide additional support. 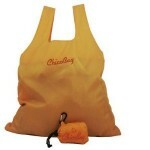 Most soft structured carriers do not feature this many closure options, they often have a single waist buckle and chest or back buckle which can make precise adjustments and a proper fit harder to attain. The pikkolo is a far more versatile carrier, not only are you able to quickly and easily adjust the straps on either shoulder for a perfect fit no matter what carry you choose, you also have the option to criss cross the straps in an X on your back when doing a front carry, which offers far greater comfort and support than a traditional front carry tends to grant. The material is soft and forgiving, so you don’t need to add bulky inserts to wear your newborn, and the base is adjustable so you can accommodate various sizes and ages as well as use the carrier front facing when needed. The carrier can be used in four different positions, and also includes a hood with a smart hidden pocket for when your loved one dozes off or if you would like more privacy to nurse. The shoulder straps are padded with memory foam so you can wear your baby for long errands and trips without sacrificing comfort. 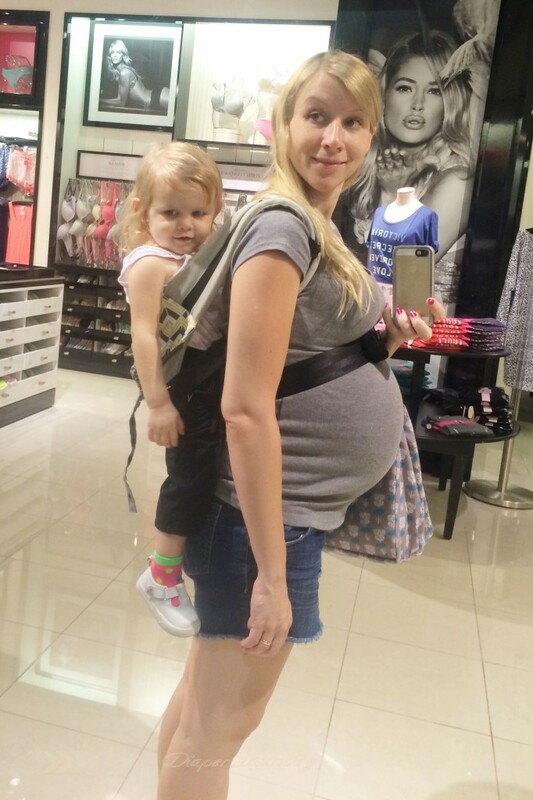 I particularly love this carrier for quick errands as well, since the carrier can be buckled in place so quickly it is perfect for those short trips when you just need to run in and grab one or two things, and it can be removed just as quickly and easily. The mei tai from Catbird Baby is also very comfortable for extended wearing and wonderfully lightweight as well. This style carrier includes long straps at the waist and shoulders, and rather than fastening with hardware you are able to twist, wrap, and knot the generous lengths of material into the carry that suits your body best. 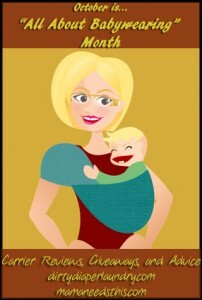 There are as many ways to tie and manipulate your mei tai as you can imagine, but if simplicity is your preference you just tie the waist belt, pick up your baby, lift the shoulder straps over your shoulders and bring them around to the front to cross under the baby’s seat, and tie it off. The padded headrest folds easily out of the way when your baby doesn’t need the support or is trying to look around. 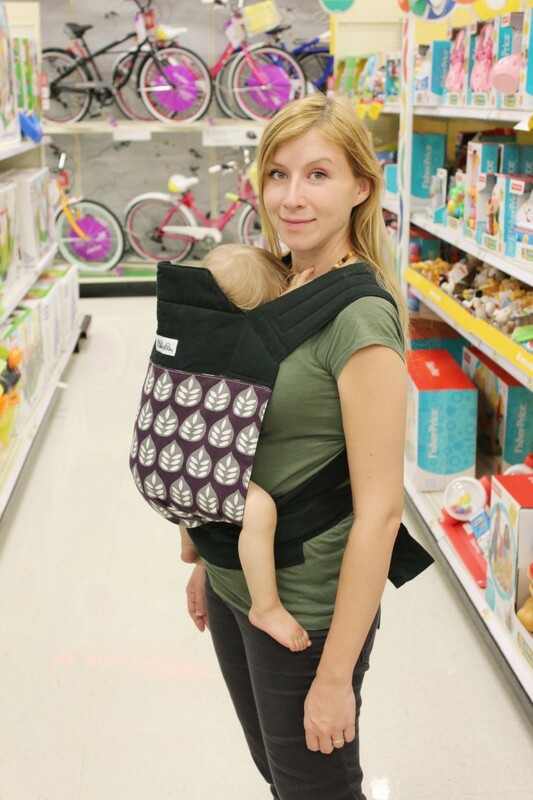 This carrier also accommodates four carry positions, which is a lifesaver when you are trying to figure out what your child likes best (which can change from month to month). 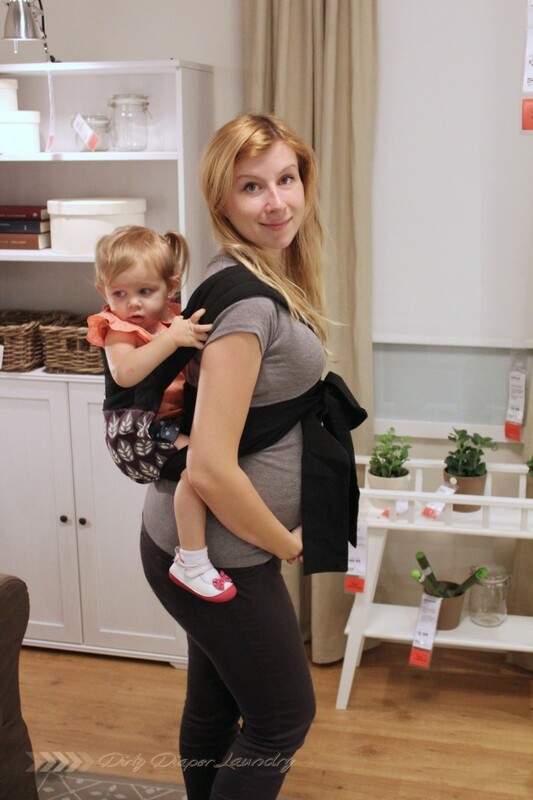 I especially love how well this carrier transitions between two parties, a very petite person can use the mei tai then transfer the baby to another person of an entirely different size and both will find the straps can be tied at a length and a placement on the body that is comfortable and supportive. As I approach the final weeks of my pregnancy, I find this to be a godsend as my body has changed and grown but my carrier always fits like a glove and Harper adores the closeness more than ever. One of my favorite things about my Catbird carriers is how well they travel. Many carriers I’ve tried are bulky and fitted with heavy hardware, thick unmanageable waist belts that do not roll or fold or compress, or sheer volume of material to the extent that rolling them up and tucking them in a small bag is just impossible. The Catbird carriers are just the right size, I can easily roll them into compact bundles and slip one into my bag or suitcase, I can keep one in the car tucked in a seat pocket, and I am always prepared. As an added bonus, if I’m wearing Harper and she needs to come down (like if we’re window shopping at the mall and she wants to run around the indoor playground) it is a cinch to tuck my carrier into my purse, so I’m not left struggling with a mass of woven wrap, or an unwieldy backpack-like device. I’m very excited to try tandem wearing with these two carriers when my second baby is born. I love that I’ll be able to keep both my girls so close to me and still manage to get out of the house and live my life without being weighed down by a bulky stroller or find myself running after an adventurous toddler intent on not holding hands. My daughters will be able to see the world as I see it, and they will be close enough to my eyes and ears that I can observe and communicate with them most effectively, and bond with them even more. Also, you must watch this incredible video Catbird Baby just released. It’s beautiful.